When it appears in December, CLICK on the Pegasus Ponies Below for GREAT Savings for 2019 ! 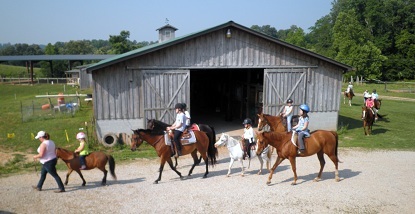 Buckaroo Camp is an exciting week filled with horses, games, crafts and FUN! Buckaroo Camp is a DAY CAMP where campers begin each day at 9:00 am and conclude each day at 4:00 pm. On each Wednesday of Buckaroo Camps many campers will elect to stay at BPS for an overnight camp out. Every Wednesday our Campers will have the option to bring their sleeping bags and other essentials so that they may spend the night the same as our Horse Lovers Campers do! That evening they will participate in a camp cookout- Hot Dogs, Hamburgers, Potato Chips and/or Potato Salad, Baked Beans and S’mores Pizza! Plus a campfire jamboree including songs and stories. The cost of Buckaroo Camp is only $425/week. The Wednesday overnight option is $490/week. All deposits are non-refundable. All deposits should be made as early as possible in order to insure your reservation in the preferred camp of your choice. All additional clerical fees charged in any circumstance are NON refundable. Canceling – The camp’s paid deposit portions are non-refundable and are non-transferable to other campers. All other moneys paid in advance and in excess of the minimum deposit may be refunded. There are some exceptions to this cancellation policy. If we are able to fill your camper’s space with another camper that may be on the waiting list; your deposit moneys and any additional payments will be refunded, MINUS a $45.00 additional office and clerical fee charge. Otherwise, if we are not able to fill your campers space your deposit amount will be forfeited and NOT refunded.